The scientist at the Imperial College, London, also said that most of the potential candidates of alien life are located beneath the icy surfaces of gas giant moons. David L Clements, a top British scientist, has claimed that humans will discover alien life forms in deep space in the next two decades. The scientist at the Imperial College, London, also made it clear that the extraterrestrials we discover will be intelligent and they will have the capability to travel across interstellar space. As per Clements, the necessities of life which includes water are quite abundant in various solar systems, and these space bodies could be loaded with life forms. Clements made these predictions after studying Fermi Paradox. Fermi Paradox states that there are millions of galaxies and stars out there in deep space, but until now, we have not met any advanced alien life forms. "The existence of intelligent, interstellar traveling and colonizing life is a key assumption behind the Fermi Paradox. Until recently, detecting signs of life elsewhere has been so technically challenging as to seem almost impossible. However, new observational insights and other developments mean that signs of life elsewhere might realistically be uncovered in the next decade or two," wrote David L Clements in the study report. Clement also admitted that most of the potential candidates of alien life are located beneath the icy surfaces of gas giant moons. "We conclude that the necessities of life - liquid water and sources of energy - are in fact quite common in the Solar System, but most potential sites are beneath the icy surfaces of gas giant moons. If this is the case elsewhere in the Galaxy, life may be quite common but, even if intelligence develops, is essentially sealed in a finite environment, unable to communicate with the outside world," added Clement. 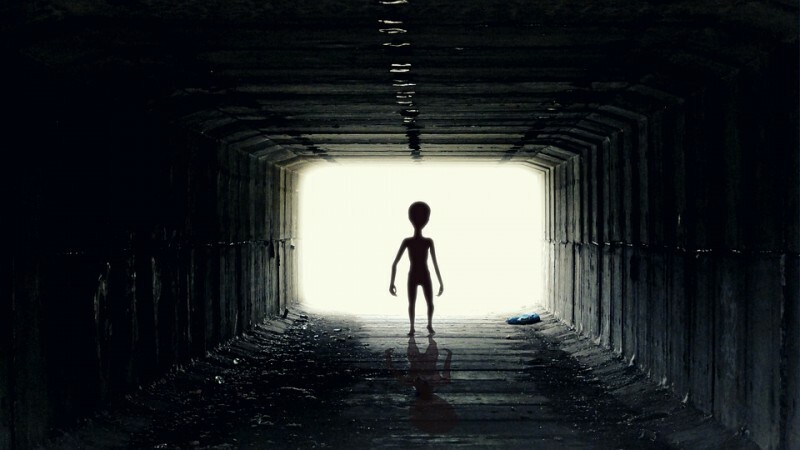 Even though Clement's comments on alien life have gone viral on the internet, conspiracy theorists claim that humans have already discovered extraterrestrial entities. As per these conspiracy theorists, space agencies like NASA and the United States government are well aware of alien existence, but they are intentionally covering up these facts to avoid public panic. These conspiracy theorists believe that the increasing number of UFO sightings all across the world is an irrefutable proof of extraterrestrial visit on earth.